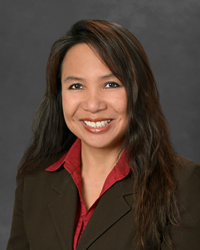 Los Angeles employment lawyer Toni Jaramilla lists the top seven tips concerning accommodation of the Family and Medical Leave Act and California Family Rights Act. An employee only needs to put the employer on notice, though it is recommended to have something in writing, a doctor’s note, and to follow the company’s procedure. No. 2: Employees must have worked 1,250 hours with the company. To qualify for the 12-week protected leave under the FMLA an individual working for an employer with 50+ employees (including multiple branches/locations) must have worked 1,250 hours with the company in the past 12 months. These requirements differ for smaller employers with 5+ employees. No. 3: An employee cannot request an indefinite leave. “One must have a reasonable time frame for accommodation, with a date certain of return,” noted Jaramilla. No. 5: Employer not obligated to give employee exactly what they request as an accommodation. “The interactive dialogue with the employer may reach a modification or compromise,” said Jaramilla. No. 6: Employee needs to put the employer on notice. An employee does not need to have exact wording nor reference the “FMLA” nor have to state “I’m disabled” or other “magic words” when stating their request for a reasonable accommodation. “An employee only needs to put the employer on notice, though it is recommended to have something in writing, a doctor’s note, and to follow the company’s procedure,” stressed Jaramilla. No. 7: Employee is not required to disclose a diagnosis to the employer. “All that is required is enough information to show the employee’s need for accommodations, such as a doctor’s note or by a medical provider,” concluded Jaramilla. Toni Jaramilla is committed to achieving the best possible results for employees who have experienced problems in the workplace. Serving clients throughout Los Angeles, her focus is on achieving positive social change for workers. Through zealous and ethical advocacy, lawyers at the firm have built a reputation for excellence in the practice of employment and labor law. For more information, please call (310) 551-3020, or visit http://www.jaramilla.com. The office is located at 10100 Santa Monica Blvd., Suite 300, Los Angeles, CA 90067.